In today's competitive landscape, a well-organized database can help businesses grow by leaps and bounds. Commercial organizations immensely rely on data to accomplish various operations that contribute towards better revenue generation and towards the growth and success of the organization. This is the reason why data is considered as one amongst the most prized possessions of businesses operating across various domains. However, building database is certainly not a child's play, you need expertise to do so and for that you require a force of competent professionals. When we talk about database building, you need professionals who are obsessed with accuracy. So, outsourcing will surely be a pragmatic decision as far as database building is considered. The sophisticated customer data management software offered by back office support service providers enables precision in database building. 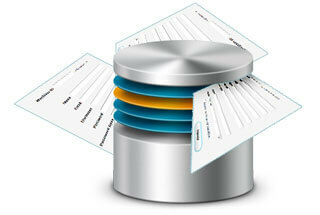 This helps them in delivering database building services that do not just meet but exceed the client's expectations. This is the reason why hiring a dependable partner to handle your business's database building process will surely be a lucrative decision. Professional assistance will certainly be of great use as far as database building is concerned and businesses shouldn't fail to seek the same.